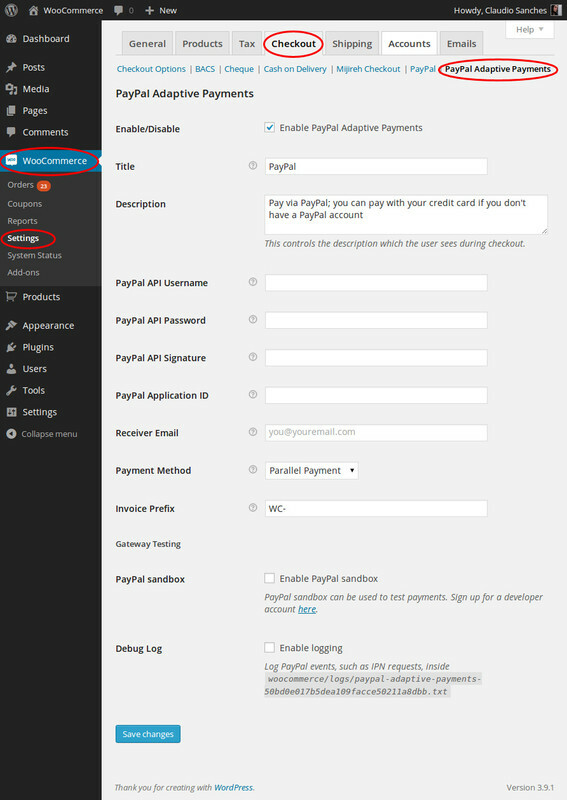 WooCommerce PayPal Adaptive Payments Extension: allows you to handle payments between the sender of a payment and one or more receivers of the payment to split the order total with secondary receivers (e.g. for paying commissions for partners). PayPal Adaptive Payments handles payments between the sender of a payment and one or more receivers of the payment. It’s possible to split the order total with secondary receivers, so you can pay commissions or partners.